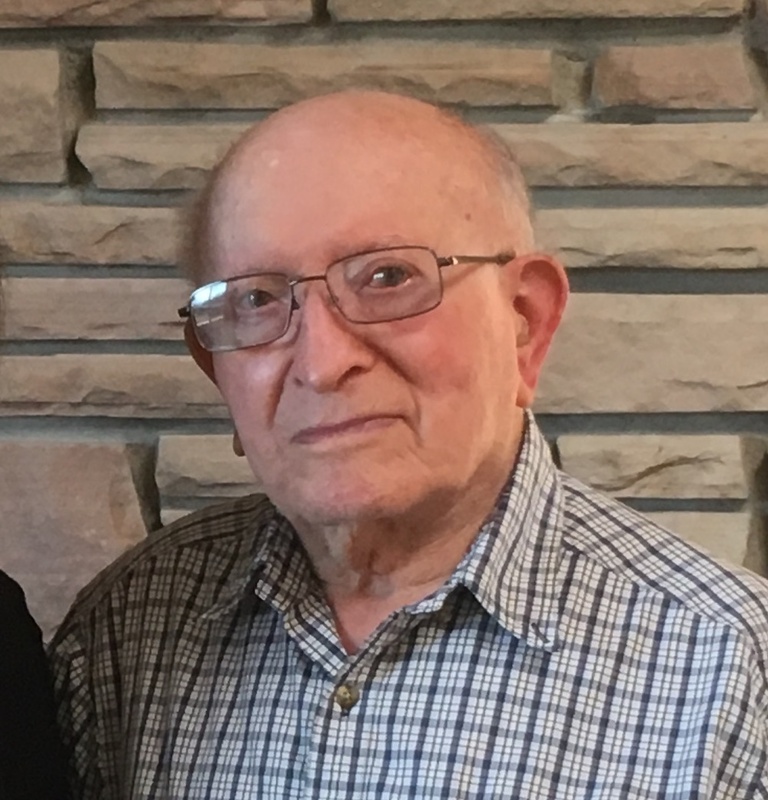 Sam Genirberg has the distinction of being one of last living survivors of the Holocaust, or Shoah, as he prefers to call it. At age 94 he spends most of his days quietly in his El Cerrito house, filled with pictures of his family, including his wife, Rose, who passed away five years ago. She was also a survivor, having endured Auschwitz and Bergen-Belsen. 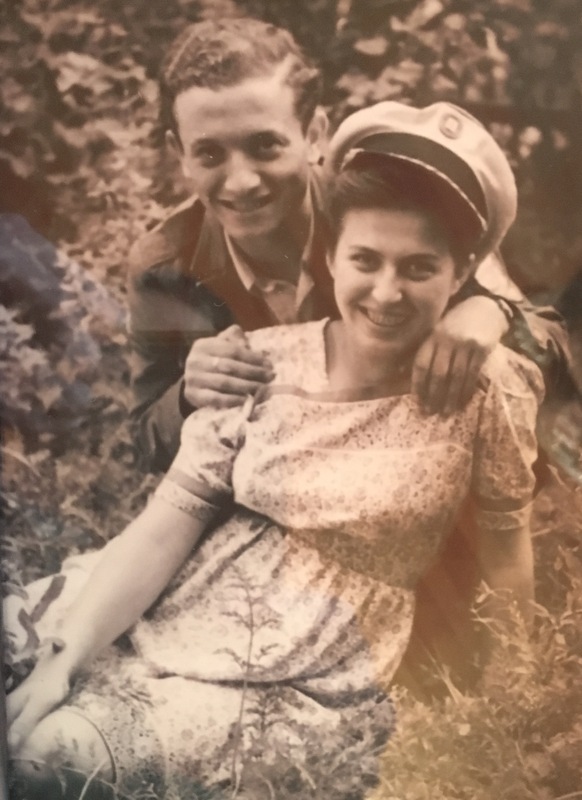 In my last post I wrote about Sam’s incredible story of hiding his Jewish identity while living in Germany during the war. He wrote a book about his experiences and has spoken to many local groups about his story. “It’s a sad story, isn’t it?” Sam said, as I sat down to interview him. Jews had lived in Sam’s hometown in the Ukraine for at least 500 years. His tight-knit family had strong ties to their friends and faith. His parents were tailors and they lived a frugal but happy life. In his book, Sam often recalls scenes of his mother lighting the Sabbath candles and laying out a special tablecloth for the evening meal. They spoke Yiddish at home and in the streets. But Sam’s warm family life was shattered when the Germans came to his town in 1941. Sam was 17. First, they began to grab men off the street. One day they took his father as he walked to the temple. The family never saw him again and Sam remembers sobbing quietly in a corner of his house. Shortly after that they ordered the Jewish population to move into ghettos and began digging mass graves outside of town. Sam’s mother, age 51, sister-in-law, 26, and baby nephew were among the victims. “How do you find people to shoot down a beautiful 26-year-old woman and a 16-month-old boy? We’ll never know the motivation,” said Sam. Sam and his three siblings had all left home or escaped as he did before the mass killing. Sam fled to Germany, living in work camps and hiding his Jewish identity. He didn’t meet another Jew for three years and was convinced he was the only surviving Jew in Europe. He was filled with guilt for having survived, even though he knew the only guilty ones should be the Nazis. Sam told me he isn’t particularly religious, but in those days he prayed to God each night that he would survive another day and maybe see his family again. As it turned out, Sam discovered he wasn’t the only Jew to survive the war. In post-war Berlin he met other Jews like himself who had also survived. He heard about a newly formed Kibbutz in the German countryside where the focus was on helping people emigrate to Palestine. This had been Sam’s dream since childhood, when he and his older brother Leyzer were part of a Zionist youth organization in the Ukraine. He joined the Kibbutz and thought seriously about going to Palestine. Then Sam met his future wife, Rose, and everything changed. They got married along with dozens of other young people on the Kibbutz. Sam was 21 and Rose was 22. “In those days we used to have marriages every Friday. People were lonely. They didn’t have family,” said Sam. Rose’s uncle lived in Petaluma, California and offered to sponsor them to come to the United States. It seemed like a more practical option than going to Palestine, which may have entailed a long wait and the possibility of being turned back, as was the case with some boats which had made the journey. While they were still in Germany, Sam placed an ad in a newspaper seeking to find his lost siblings. His brother Leyzer, who had survived mostly in the woods for three years, saw the ad and responded. The brothers joyfully reunited and Leyzer accompanied Sam, Rose, their new baby and Rose’s mother and sister to Petulama. Leyzer died two years ago at age 100. Sam’s other siblings died during the war. Although Sam did not emigrate to Palestine, the creation of Israel gave him the strength to hold onto his Jewish identity. In Petaluma, Sam joined a community of Russian chicken farmers, including many survivors. His first job was in a warehouse loading bags on a train for $1.25 an hour. When Sam shared his story about surviving by passing as a Gentile in German factories and farms, his friends didn’t believe him. Could a Jewish boy really hide in Nazi Germany? It seemed impossible. Sam began to write his book in the early 1960s, while he could still remember the details. He tried to find a publisher for his book but was unsuccessful. He believes his story didn’t fit well into a traditional Jewish narrative. Eventually Sam self-published his book in 2012, with editing help from his oldest daughter Carolyn. The book, “Among the Enemy,” covers Sam’s life up until he emigrated to California. It doesn’t cover what he calls the next great sadness of his life, though. I will detail this in the next blog post. This entry was posted in Profiles in courage and tagged Berkeley Country Club, Holocaust, Jews, Sam Genirberg, survivor by Allison. Bookmark the permalink. Thanks, Allison & Sam! Such a wonderful man, and I am so thankful that we have had a chance to meet him and get to know him. Wow! Thanks so much for sharing this uplifting story!